No matter the size of a business, in today’s market, the consideration of expanding into nations outside of a company’s home nation is extremely common. Global expansion may give an organization a competitive advantage based on a lower cost for raw materials, a more experienced workforce, or simply a wider breadth of consumers in front of which to place their products. Expanding into Beijing offers a wide array of opportunities for companies of all sizes to establish a presence, grow, and maximize gain in this new market. Beijing, the capital of the People’s Republic of China, is an attractive option for companies looking to expand outside of the United States. 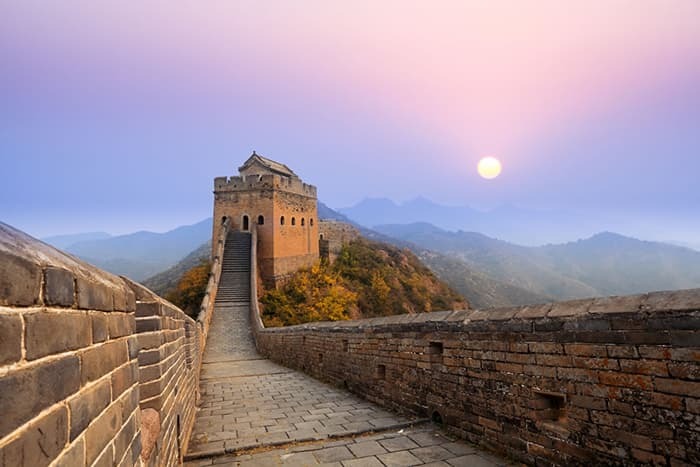 Located in the northern portion of China, Beijing is the second largest city in China and is well-established as China’s political, educational, and cultural center. The majority of China’s largest state-owned companies have headquarters based in Beijing. Beijing is also a primary transportation hub, featuring several national highways, ring roads, expressways, conventional railways, and high-speed train networks, which all converge in the city. Prior to forging a presence in a new market, a first priority for any business should be to firmly establish a reliable method of communication in order to have discussions with any vendors, clients, potential customers, and other contacts relevant to the business’ dealings. Global Call Forwarding focuses on aiding businesses in establishing a dependable method of communicating by supplying Beijing virtual numbers to organizations of any size. The process completed by Global Call Forwarding in setting up Beijing virtual numbers is simple, offering business owners the peace of mind that they will be able to communicate related to any business needs and then put the proper amount of time and focus on other business matters. An additional but necessary step in preparing to enter a new market entails wide-ranging research into the target market’s business environment, to include the study of culture, laws, business practices, and the condition of the economy. Beijing’s economy is heavily dominated by the services sector, closely followed by the manufacturing, construction, agriculture, and mining sectors. The services sector is divided across wholesale and retail, professional services, information technology, commercial and residential real estate, and scientific research. For businesses looking to expand into Beijing, there are many matters to research prior to entering this market. In March of 2018, the Beijing Municipal Administration of Industry and Commerce, the Tax Bureau, the Commission of Development and Reform, and a number of other bureaus associated with business practices in Beijing, put a number of policies and guidelines into place in an effort to make it easier to do business in Beijing. Some of these policies and guidelines are aimed at simplifying procedures, minimizing the cost of doing business in Beijing, and presenting a greater level of transparency as it relates to the government’s involvement in business practices. These modifications are aimed at attracting more foreign investors. In order to successfully enter the Beijing market and fully take advantage of the many benefits of the market, a company must first establish a reliable means of communication with those in this new market. Offering access to Beijing virtual numbers so that all business contacts are able to contact the company directly is one of the greatest ways to achieve this. Beijing virtual numbers allow a company entering into the Beijing market to offer a phone number for those located in Beijing to easily reach the company. A customer is able to place a call using Beijing virtual numbers linked to the company and the call is then forwarded to the company’s phone number of choice, which could be anywhere in the world. Calls made to Beijing virtual numbers set up by Global Call Forwarding can be either local or toll free and may be forwarded to a landline or a mobile phone. The connection quality is outstanding and there are many easy-to-manage features offered for customization, including various ringtones and personalized voicemail greetings. For a business looking to establish a local presence in a new nation, this service is ideal. In particular, with a small or mid-sized business that is looking to keep costs on the lower end, Global Call Forwarding’s offering of Beijing virtual numbers greatly assists in establishing a professional presence in Beijing without the high overhead costs that are often associated with having a physical business location in Beijing. Global Call Forwarding’s core focus is on international call forwarding through the use of Beijing virtual phone numbers as well as virtual numbers set up from many cities and countries worldwide. This gives customers access to an online control panel that is very simple to navigate for the initial set up, while offering features such as SMS to email capabilities. Starting a new business in Beijing or entering the Beijing market to expand an already existing business requires careful planning and precise decision-making. Beijing virtual numbers aid in establishing an absolutely necessary, and well-defined presence in this new market without risk or costly overhead. Contact Global Call Forwarding today to purchase Beijing virtual numbers to begin expansion in the Beijing market immediately.